High-performance styling spray for controlling, fixating and finishing. 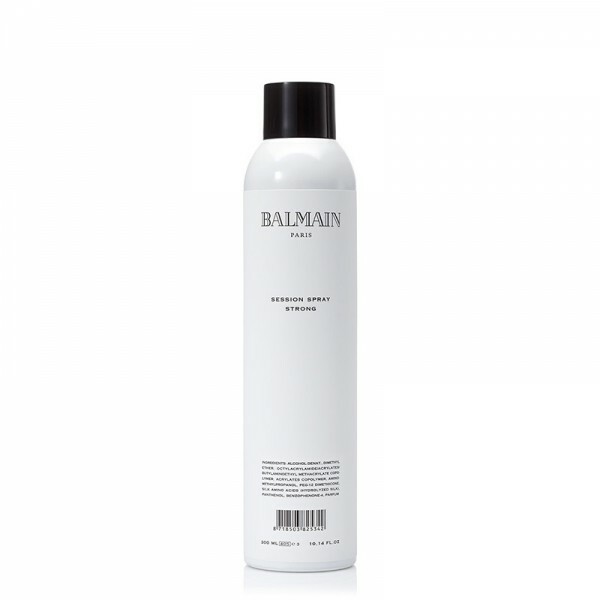 Balmain Paris Hair Couture has developed a controlling, fixing and finishing strong hold hairspray for endless creativity. The spray is humid resistant and gives immediate shine and body. Session Spray Strong contains UV protection.